IF YOU WERE KIDNAPPED IN THE WOODS, WHAT WOULD YOU DO? In Kim Savage's debut novel, After The Woods, two best friends Liv and Julia were a part of a kidnapping in the woods. Julia sacrificed herself, letting Liv run to get help. 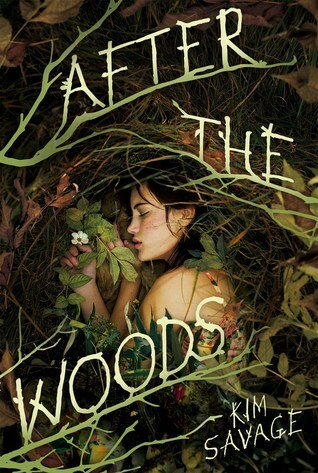 She does get out, however, the woods were just the beginning, and After The Woods is all about the dreaded aftermath! Fast paced and wholly brilliant, this book will leave you breathless! Now, Kim Savage has oh-so-amazingly answered questions on what you would need to survive in the woods, so my lovelies, PAY ATTENTION! 1. Night vision goggles, a stun gun, mace, my license to carry mace, and a bull whip. Because you never know when you might run into a gamer who takes his human-hunting gaming to the next level. And I like an even playing field. Suddenly, there's a man. He has a baby face and his head is small for his body. A slice of forehead, pink and smooth, peeks from under a black knit cap. The man stands over me, smiling. He has small teeth like a child. 2. I woke up to a world where this old guy with bad hair who used to be on Lifestyles of the Rich and Famous was deporting people. I tried to wake up, but I couldn’t. Shiver. 3. Three people (fictional) that you'd like to have had with you in the woods? 3. Kellan (because: Kellan). Liv, because she really should've stayed, and she could have explained a LOT. Yvonne Jessup, because she might have shamed Jessup into bagging the whole idea. And Benedict Cumberbatch. Wait: you said three. Sorry, incorporating Benedict Cumberbatch into every guest post is a compulsion. I’m working on getting better. 4. I can’t see well, because, you know, it’s dark and it’s the woods and all. And without my glasses I’m near-sighted, and you just know those got knocked off in the struggle. But I’m sitting on top of a sleeping bag, and I swear I read somewhere you could use one to roll down a cliff and escape from an abductor. There’s also Donald’s lighter, and an old-school round camping canteen on a strap that would give an excellent concussion, if you swung it around like a samurai. No idea what I'd do with the lighter. Statistically speaking, girls like me don’t come back when guys like Donald Jessup take us. According to my research, in 88.5% of all abductions, the kid is killed within the first four hours. In 76% of those cases, it’s within the first two hours. So when they found me alive after nearly two days, the reporters called it a miracle. See, I’m not the survivor Julia is. I’d be the first one voted off the island. 5. Stay inside that fallen tree. Things can only get worse from there. Running to get help. Don’t underestimate my self-preservation instincts just because my MC is selfless. Plus, I can run pretty fast when I need to. A manic one. So much less terrifying. The In The Woods movie was disappointing. Since I haven't seen Abandoned Building, I choose that.
. Your MASTERPIECE is about two girls who were stuck in the woods, and now that they're out, they're trying to make sense of it all. If you could give them one piece of advice, what would it be? 7. Making perfect sense is overrated. Plus it doesn't make for interesting fiction. It's been so great having you here on ATWAMB, Kim! Thanks so much for being a part of my Blogaversary! Kim Savage was born and raised in Massachusetts, on the South Shore. 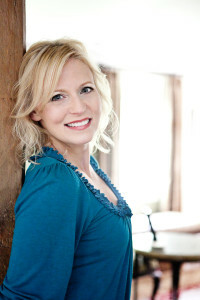 She got a bachelor’s degree in English from Stonehill College and a Master’s in Journalism from Northeastern University. For a while, she worked as a business journalist. Instead of waiting for the Federal Reserve to release the Beige Book, she pitched story ideas along the lines of “Stigmatized Properties: When Murder Kills Property Values”. Today, she lives with my family northwest of Boston in a town a lot like Shiverton, near the real Fells reservation of AFTER THE WOODS. Born with dysgeographica—she's directionally challenged—the fear of getting lost in that lovely, dark forest lives close to my skin. After the Woods is her debut novel. Blurb Description: Would you risk your life to save your best friend?